Car Sat Navs: Built-In or Portable? Many years ago, when you were getting ready for a long journey, you would reach for a book called the “A-to-Z” and spend hours going over the maps as you planned your route. Inevitably, you’d get lost along the way and changes in the road over time meant you needed to scrap your existing A-to-Z and buy an updated version. These days we have Sat Navs (Satellite Navigation), which take away all the stresses of having to plan your journey. Well, almost all of the stresses – you still need to keep it up to date if you want to avoid getting caught out with changes to the road layouts. The Sat Nav uses GPS to plot your current location and then you can enter a destination either by city/town/road or a postal code. The Sat Nav can then calculate the exact route, distance and estimated time of arrival – all in under a minute! Most modern cars now come with built-in Sat Navs so let’s look at some of the pros and cons of built-in and Portable Sat Navs. Many journeys don’t end in the car park and having a portable Sat Nav is handy because you can switch the method of transport i.e. driving/walking and the Sat Nav will take you right up to your destination. If you’re driving a different car you can take your portable Sat Nav with you. Some can be a little bulky but you can now download Sat Nav apps on your phone/tablet too. Portable Sat Navs are generally more affordable and start from as little as £80.00 with some of the most common ones costing as much as £260.00. At the higher end they can cost up to £1000.00 if you need the extra features like WiFi, Integrated Sim Card and a faster processor – commonly targeted at businesses and truckers. The maps are normally easy to update by plugging it into your computer and downloading a new map pack as and when they become available. Often you would secure the Sat Nav to the inside of your windscreen and it would usually leave a mark, which is an indicator to potential thieves that you may have a valuable Sat Nav in the vehicle. It will have a built-in rechargeable battery and if it runs low, you can connect it to your vehicles 12V power supply. Some new cars will come with a built-in Sat Nav as standard but others will charge extra for it and generally, the extra charge is a lot more than what a portable unit would cost you. Updating a built-in Sat Nav is not always as simple as a portable unit as it will vary depending on the manufacturer. With some, you can update the removable SD card on your computer by downloading the update, on others you may be required to take your vehicle to your local dealers for them to carry out the update for you – 68% of people with built-in Sat Navs said they never bothered with updates. A built-in Sat Nav will form part of your vehicles Infotainment system and is integrated with other features such as bluetooth and media controls. This is great if you love pumping up the volume to your favourite song because when the Sat Nav is ready to give you the next direction, it will temporarily lower the media volume as it tells you which way to go, then resumes your media at the preset volume. – This is all possible because it is an integrated Sat Nav. Built-in Sat Navs look great! – No wires getting in the way to charge them, no stains left on the windscreen from where they are mounted and you never have to worry about it falling off the windscreen halfway through your journey. The built-in Sat Nav is perfectly integrated into the dashboard of your vehicle and works seamlessly with the entertainment system to ensure you have the best possible experience. Depending on the car manufacturer, some built-in Sat Navs are not as user-friendly as TomTom for example. Some manufacturers have adopted the TomTom technology, such as Renault – all of their integrated Sat Navs are “TomTom” based and the controls are very familiar and easy to use. If your built-in Sat Nav develops a fault, replacing it can be very expensive and will require programming when fitting to the vehicle. We specialise in Sat Nav Repairs and work on all integrated Sat Navs from all makes and models, some of the most common include the RNS550 and the BMW iDrive unit. All remanufactured units are returned with a Lifetime warranty and are completely plug & play, meaning no programming is required when you re-install it. 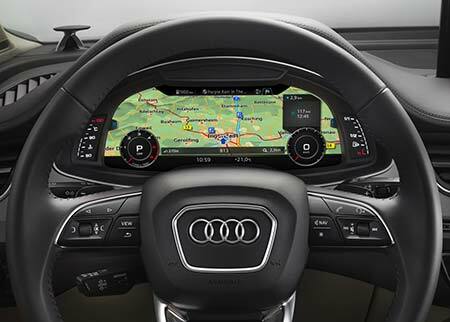 If your built-in Sat Nav is faulty, check our the SatNav Repairs section of our website for more information, or call us today on 0844 847 9999. Tags : Built-In SatNav, In-Built Sat Nav, Portable Sat Nav, Sat Nav Repairs, Satellite Navigation, SatNav Repair.